The Margarita is a Mexican drink that has gained incredible popularity over the last few decades and for a good reason. It’s a delicious drink that has a good amount of alcohol and is perfect for a wide variety of occasions. 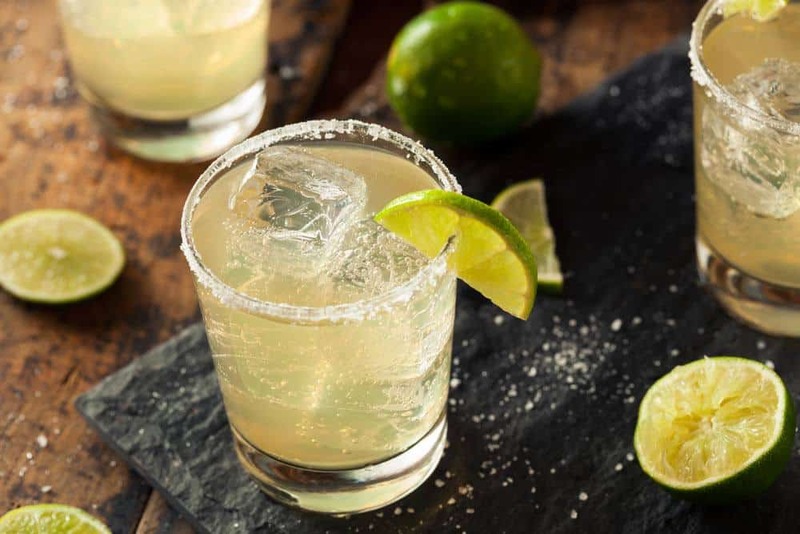 More importantly than that, it’s a highly versatile drink that can be suited to almost anyone’s taste and almost every bartender and cocktail mixer out there seems to have their own variant of the Margarita. Today, we will present you with our favorite take on this drink and teach you how to make the Patron Margarita. But before that, let’s talk about one more thing. While we are sure a lot of people have heard of Margaritas or even tasted them on occasion, not a lot of them think about what goes into making one. The basics of this drink are important to grasp if you’re trying to make any variation on it, not just the Patron Margarita. The Margarita was invented somewhere around the end of the 30s or 40s, depending on who you talk to, and almost immediately gained large, widespread popularity. It’s not exactly sure who invented it, and there are plenty of different stories concerning that, but most are regarded as myths. These stories usually involve people, usually famous ones, experimenting with different cocktails at a party and coming up with the Margarita recipe. However, the most accepted origin story is the one that claims it’s just a variant of the already popular American drink called the Daisy, just with brandy substituted for tequila. What all the stories have in common is how the drink is made or at least the basics of it – tequila and some orange-based liquor is used along with some lemon juice and the glass it’s served in is rimmed with salt. That’s still the basis of most Margaritas today and the reason it became so popular – it’s relatively easy to make. The ingredients that go into a Margarita are typically tequila, triple sec and lime juice, with a 7:4:3 ratio. Triple sec, if you’re not familiar with it, is a sweet liqueur made from orange peels – the most popular brand is Cointreau, but others can be used, such as Grand Mariner. After mixing, the drink can be shaken up with ice, blended with ice, to produce a Frozen Margarita or served without any ice at all. The drink can be served in almost any glass but is typically served in Margarita glass with salt on the rim of the glass and a piece of fresh citrus fruit. This yields a tasty drink that has quite a bit of alcohol but is easy to take in. 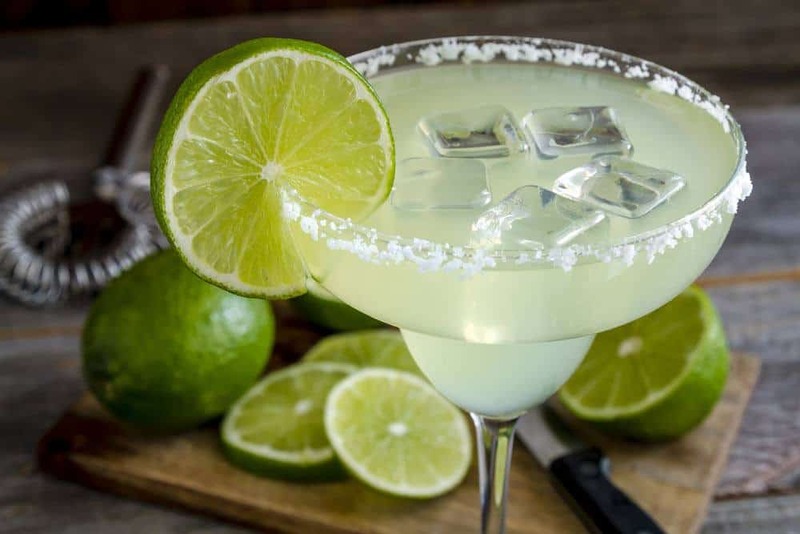 However, that’s just the basis, and plenty of different variations on that core concept can be made, which is why the Margarita has endured as a popular drink. For example, different fruit liqueurs can be used instead of an orange-flavored one. Raspberry liqueurs, melon liqueurs and a wide variety of others can be used instead of an orange-flavored liqueur or alongside it, which results in a different taste and color. Different fruit juices can also be used instead of lime juice or along with it. When fruit juices other than lime are used, the name of the fruit is typically added in the name. So you have Banana Margaritas or Melon Margaritas and so on. The basis of all of these drinks is the same, but the taste and texture can differ greatly. So, that’s how Margarita is made and why it remains popular to this day. 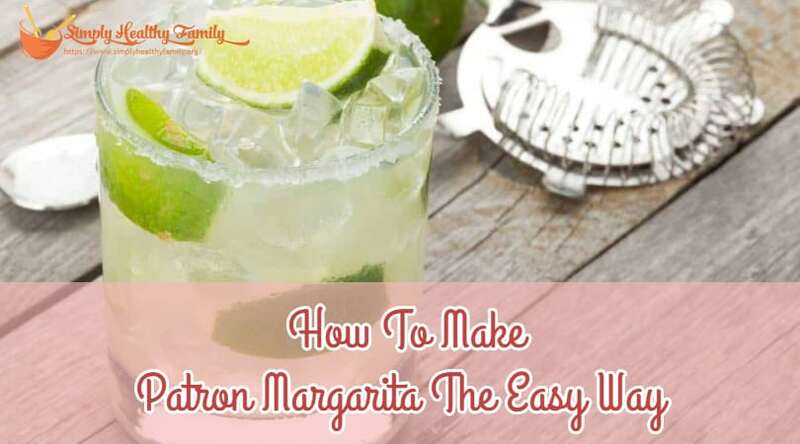 How we can move on to the instructions on making our favorite kind of Margarita – the Patron Margarita. By far the most important ingredient in a Margarita is the tequila because it is the most prominent ingredient. You need to take extra care when choosing the tequila so as not to completely ruin the drink before you even get a chance to start. Bad tequila will ruin a Margarita, and no amount of dressing up can make up for that. One of the best tequilas you can get out there is the Patrón Reposado, and with it, you can make some high-quality cocktails that won’t leave you with a bad hangover. The Patron Anejo is also quite a good choice of tequila for this cocktail. A good companion to that is the Patrón Citrónge Orange since it is also quite a high-quality drink and it won’t leave a bad aftertaste as most orange liqueurs tend to do. In addition to all this, you’ll also need some fresh lime juice – make sure it’s fresh because nothing else will do in this case. You’ll also need some simple syrup that you can add to the mixture as well as a bit of salt and fresh lime or oranges for the garnish. The preparation is rather simple – simply add the ingredients along with the crushed ice into a cocktail shaker and shake it until it’s all mixed. After that, you can pour it into a glass rimmed with some salt and garnish it with a lime or orange wheel, and you’re done. If you’re not sure how much syrup you want, you can leave it out of the shaker and add it in later, to taste. If you find the drink to be too strong, you can add some club soda instead to dilute it. That’s about it. Now you have a tasty alcoholic cocktail that’s easy to drink and that your guests will just love. There you have it! That’s our recipe for the Patron Margarita, and it’s the best damn Margarita we have ever tried. Did you enjoy this recipe? Do you have a different recipe that you like more? Either way, sound off in the comments and share this article with people who might like it, or even your friends if you want them to make some for when you come over. Whatever the case, we hope you enjoy the Patron Margarita and that you have a good night out.